The GoolRC SH5C quadcopter is a fantastic quadcopter which you will love it at first sight. It's headless mode, 3D-roll ability and high low speed make your flight easy and joyful. The 2.0MP camera with real-time transmission can capture photos and record videos as you wish. A good choice for you! 2.0MP camera captures and records every beautiful and unforgettable moment. Attractive 3D-flip function brings more fun. High/low speed modes for both beginners and experts. 2.0MP camera captures and records every beautiful and unforgettable moment. With headless mode, no need to adjust the position of aircraft before flying. Attractive 3D-flip function brings more fun. High/low speed modes for both beginners and experts. 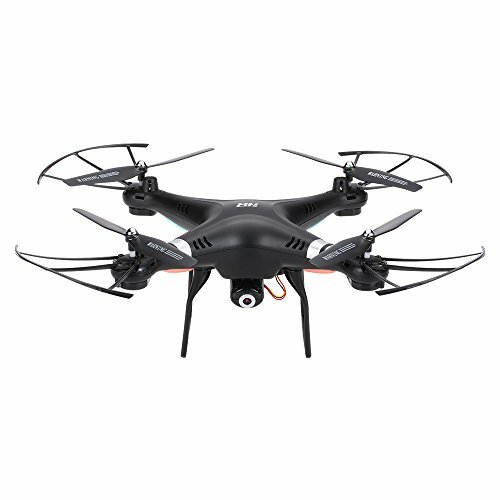 6-axis gyro ensures more stable flying and be easy to control.